All-too-commonly prescribed for back pain – despite evidence that nondrug options are equally, if not more effective – steroids have taken a justifiable beating over the past several months. A tainted batch of epidural steroids produced by a Massachusetts compounding pharmacy led to hundreds of cases of fungal meningitis and dozens of fatalities. But as with most news items, eventually the topic dropped from the headlines; all too soon for anyone whose health was compromised by drugs intended to relieve their pain. Now steroids are back in the news, but for a good reason from a public-health perspective: The Congress of Neurological Surgeons and the American Association of Neurological Surgeons have issued a recommendation against the use of steroids within the first 24-48 hours following an acute spinal cord injury (generally much more severe than simple back pain). Previously, guidelines recommended steroid use in acute cervical spine (neck) and spinal cord injuries when deemed appropriate by the treating physician. The new guidelines go so far as to state that strong evidence suggests “high-dose steroids are associated with harmful side effects including death” and conclude that use of the drugs in such situations is often more likely to harm, rather than benefit patients. Now if steroids aren’t being prescribed for acute spinal cord injuries, why would anyone prescribe them for uncomplicated cases of back pain? Good question, but we guess the answer is that many physicians still will, despite the potential for side effects (or tainting). Fortunately, you have another option: visit a doctor of chiropractic, who can evaluate your back pain and perform spinal adjustments that have been proven to be more effective than pain-relieving drugs (click here). When it comes to discussing fiber, most people will think of weight loss and better digestion. Now, researchers are attributing a diet high in fiber with it being a protection against a stroke in the future. Incorporating high fiber foods can actually help you reduce your risk of having a stroke, according to research from eight observational studies, all with at least three years of follow-up. The study, which was published and highlighted last month in various health journals such as Stroke found that each 7-gram per day increase in fiber intake reduced the risk for a first stroke by about 7 percent. So what kind of fiber is the kind you should be looking for? Researchers noted things like water soluble fiber — the kind found in beans, nuts and other foods — as well as insoluble fiber and cereal fiber. Both of these seemed to reduce the risk of stroke slightly. According to background information in the study, the current average fiber intake in the United States is about 13 grams a day for women and 17 for men. Increasing these by 7 grams a day would bring them close to the recommended levels of 21 to 25 grams for women and 30 to 38 for men. So if you are looking to decrease your risk of stroke make an effort to increase your fiber intake by at least seven grams to have that extra beneficial effect. Some ways to do that is by eating more fruits and vegetables and decreasing your consumption of white breads and crackers and instead choosing multigrain and whole wheat options. Talk to your doctor about other ways to increase dietary fiber in your diet. Should You Worry About Your Vitamin D? Vitamin D has earned its way into the spotlight, and rightfully so. Research has confirmed the importance of vitamin D to our health, and it’s likely that we are just beginning to understand the diverse ways this nutrient, actually a hormone, supports our body. We do know that it plays a vital role in the proper synthesis of bone, supporting our skeleton along with calcium, magnesium, and vitamin K, and keeping it strong and healthy. Vitamin D has also been identified as a key nutrient to support optimal immune system functioning. Vitamin D has earned enough credibility that many health care providers are routinely screening patients for a deficiency. Vitamin D deficiency is considered when serum (blood) levels of 25-OH-Vitamin D fall below about 30 ng/mL (nanograms of vitamin D per milliliter of serum). If you are found to be deficient, it is recommended to supplement vitamin D to get you back into a normal range. Sounds simple, right? Well, of course, taking the right form and dose of vitamin D is where things get complicated. Prescription forms of vitamin D do exist, but they are in the form of vitamin D2, a form that requires conversion by the body into the active D3 form. 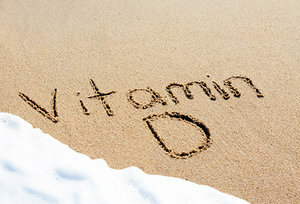 Vitamin D is available in the D3 form, and that is the preferred form you should look for in your dietary supplements. Standard dosing of vitamin D is 400 IU (international units) daily. Many practitioners dose much higher than this, but daily doses over 1,000 IU should be taken only under the supervision of an experienced provider, as vitamin D is a fat soluble nutrient and has the potential to reach toxic levels. Third party testing of vitamin D by Consumer Labs has also disclosed that several vitamin D products on the market have issues with potency that do not match what is on the label. This means that the dose you think you are getting (and is posted on the label) may not be what you are actually taking. 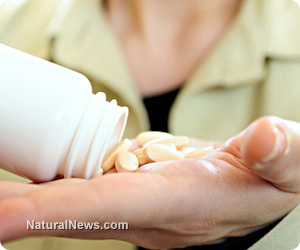 This can be harmful whether you are getting under-dosed or over-dosed! Ask your healthcare practitioner what brand they would recommend and stick with that trusted product to ensure a safe and effective dose of vitamin D.
PMS is something we as women have had to deal with every month for most of our young adult and adult years. While we become concerned if we miss a period for obvious reasons, we are also not very happy to see our monthly friend as well which usually comes with some bloating, pain, and mood changes. Watch your diet a week before your usual PMS time. Food has a huge impact on PMS symptoms, so aim to eat a low salt and low sugar diet about a week before your PMS week. This will help her PMS cravings and symptoms to be a little less severe. The reason I suggest making the diet change a week before your usual PMS week is because once you hit your PMS week, you may not be able to control the cravings for salt or sugar. By pre-emptively addressing the symptoms and eating cleaner, you should ensure that your PMS week is a little less difficult. Drink green tea. This is important because it is a natural diuretic which means that it will help you feel and look less bloated. It also helps with your metabolism so that you feel a bit more energy during your PMS time and can potentially help you keep some of your PMS weight gain down. Get plenty of sleep. When you don’t get enough rest, your body likes to crave carbohydrates and tends to bloat more. It worsens the fatigue that you may already feel with PMS and it definitely worsens mood. So, not getting enough sleep means that your PMS symptoms will likely appear like it’s double the strength of not feeling good…and let’s face it, the normal strength of PMS symptoms is already more than enough. Exercise. When you exercise the week before and during the week of your PMS, your symptoms tend to be less than usual. Exercise helps to release happy hormones and helps your body to get rid of bloating and cramps. When you work out, you are also less likely to have monstrous sugar or salt cravings…basically, it is a winner all around. Spend time with people who bring you joy. This time of the month is probably not the best time to meet up with people who are draining or irritating to you. However, meeting up with people who usually bring you joy and make you feel loved is a good idea because being around them will trigger happy hormones that will help your body hold onto that happy and loved feeling long after your rendezvous with them. So, while this is a time of the month that is traditionally not your favorite, there are ways to ensure that you get through the PMS a bit better rather than sink into the misery. As I always tell my patients at my clinic of integrative medicine in San Jose CA, when you tackle your symptoms head on and plan ahead for them, you have a choice in helping your body manage its hormones. By living a healthy and balanced lifestyle and addressing your health issues, you can optimally and favorably control your symptoms instead of having those symptoms control you. Back pain is a major health issue, so much so that is was recently confirmed as the number-one cause of disability worldwide. The authors of that quote conducted a study recently, results of which suggest a simple, drug-free way to counter that “threat”: spinal manipulation, a treatment technique commonly provided by doctors of chiropractic. According to the study, spinal manipulation was more effective than a nonsteroidal anti-inflammatory drug (NSAID) and placebo in patients with acute LBP. In fact, patients who received spinal manipulation showed improvement in terms of their disability due to the pain, their subjective estimation of pain and their perceived quality of life compared to patients receiving drug therapy only. This isn’t the first time we’ve touted the benefits of chiropractic care for back pain, and it won’t be the last. That’s because a growing body of evidence suggests chiropractic’s effectiveness and health-care cost benefits compared to the traditional medical approach, which often involves drugs and may ultimately lead to surgery. Suffering from back pain? Then do something about it; something that doesn’t involve popping pills. Give your doctor of chiropractic a call and take control of your back pain. You’ll be glad you did. Gaining weight may have as much, if not more to do with how many zzz’s you get than how much food you consume. New research suggests that losing just a few hours of sleep for as little as a few nights in a row can lead to almost immediate weight gain. This is health research you don’t want to snooze about. Upwards of 80 percent of adults suffer at least one episode of back pain in their lifetime, which means you’ve already felt the pain, are feeling it now or will feel it before you know it. And chances are good that, like so many others, your first thought will be to get off your feet, lie down and rest. Unfortunately, evidence suggests that unless the pain is severe or accompanied by other symptoms, such as pain radiating down the legs, rest is exactly the opposite strategy to pursue if you’re trying to relieve your back pain. The growing resistance to the world’s supply of antibiotics is becoming a “catastrophic threat” that will manifest itself over the next 20 years, according to a new report from the British government. Dame Sally Davies, Britain’s Chief Medical Officer, called for global action in her first annual report to combat spreading antimicrobial resistance, which she said could cause tens of millions of patients to die following even minor surgery within two decades. Davies said the problem is growing so large and serious that the British government should rank it alongside terrorism and climate change as one of the country’s biggest threats. For years antibiotics have grown increasingly ineffective against key bacteriological strains, a phenomenon that is worsening due to a “discover void” of new, stronger antibiotics, she said. In her report, Davies called for a host of actions to address the threat, which may eventually include tighter restrictions on how doctors prescribe antibiotics for their patients, The Independent reported. “This is a growing problem, and if we don’t get it right, we will find ourselves in a health system not dissimilar from the early 19th century,” she said. Davies herself acknowledged that the problem has been a long time in the making, but she said she decided to give it new focus because of the dire implications of inaction. “I knew about antimicrobial resistance as a doctor, but I hadn’t realized how bad it was or how fast it is growing,” said Davies. There is a need for politicians in the UK to prioritise antimicrobial resistance as a major area of concern, including on the national risk register and pushing for action internationally as well as in local healthcare services. Antimicrobial resistance is a ticking time-bomb not only for the UK but also for the world. We need to work with everyone to ensure the apocalyptic scenario of widespread antimicrobial resistance does not become a reality. This threat is arguably as important as climate change. Keith Ridge, the British chief pharmaceutical officer, said though the control mechanism for doling out prescriptions of antibiotics has been strengthened in hospitals, there needs to be tighter, more thoughtful control of antibiotic prescriptions by general practitioners. In Britain, hospital infections caused by MRSA and C. diff have been reduced by some 80 percent over the past 10 years, but those have been replaced by other tough-to-kill bacteria, such as E. coli and klebsiella, the latter two now the most frequent causes of hospital-borne infections, The Independent reported. In the U.S., carbapenem-resistant Enterobacteriaceae, or CRE, has become more common in the past decade, according to the Centers for Disease Control and Prevention. Infectious disease specialist Dr. Brad Spellberg, of the Los Angeles Biomedical Research Institute at the Harbor-UCLA Medical Center, compared the worsening problem to the fate of the Titanic. “We’re not talking about an iceberg that’s down the line. The ship has hit the iceberg. We’re taking on water. We already have people dying. Not only of CRE, but of untreatable CRE,” he told National Public Radio. In the U.K., about 5,000 people a year die from bloodstream infections – half of them from drug-resistant organisms. In the U.S., the CDC estimates that about 20,000 die from them. As antibiotic use has increased over the past several years, so has resistance, the experts say. That’s because the “pipeline” of new antibiotic drugs is drying up; there has not been the development of a new class of antibiotics since 1987, and no new classes are currently in the global pipeline, The Independent reported. A small number of individual drugs are being developed by a few British companies, the paper said, but that’s about it. Davies blames part of that development shortage on Big Pharma – there is little profit in antibiotics because they are expensive to develop but are only taken in short courses, unlike, say, blood pressure medications that must be taken for long periods of time. “We may have to work with the pharmaceutical companies in public-private partnerships, and we may have to do some development of antibiotics on a public basis” in order to fill the “development void,” she said. Davies pointed to the Innovative Medicines Initiative, which is a joint undertaking between the EU and the pharmaceutical industry which fosters a collective effort towards pharmaceutical innovation, especially when it comes to new classes of antibiotics. “We are going to have to up our education, so that the doctors and nurses and vets who prescribe antibiotics do it knowing the risks and advantages, and think about that balance, and also spend time with patients explaining why they’re not prescribing them,” Davies said.